Since the sensor-flange distance is increased you will not be able to use the Micro 4/3 or 4/3 lenses you were using with an AF100 for example. When it comes to slow motion this camera is no slouch with 240fps continuous recording to SDXC II v90 cards in both 2k resolution and full HD 1080p. It is also bringing it to the 4k 50/60p realm which now is becoming commonplace. Super 35mm 5.7K Sensor Supersampling to 4k! With the Panasonic camera costing under $8,000 USD for the body only, it becomes now a question of how much lower from $8k will it be. The Canon C200 which will record on a RAW Light format will be $5,999 body only (Missing LCD, Handle, Mic and other accessory features). However with the camera body and basic accessories costing $7,499 for the C200 Canon we see no reason the Panasonic shouldn’t cost exactly the same or a bit less without the canon premium. The EVA1 will use SDXC II v90 cards! In the end, it will come to frame rates 120fps on the Canon C200 and 240fps on the Panasonic EVA1, Canon’s RAW Light format and the dual pixel continuous AF in the Canon which is class leading. We simply do not see the Panasonic winning in the AF department or getting close when the GH5 is so far behind dependable Autofocus in video mode. The feature that really makes this camera compelling will be the 5-axis internal sensor stabilization which will probably be a refined version of what is found on the Lumix GH5. 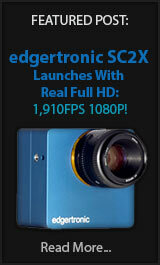 This is something the Canon C200 is completely missing. If Panasonic can pair this stabilizer with the Canon EF mount lenses from Canon, Tamron, Sigma and other brands then the camera will be a winner for documentary + run & gun crowds. The decision to make it EF mount is the realization that filmmakers do not want Panasonic or Olympus lenses tied to a 4/3 sensor and instead want the ability to adapt readily available Canon EF Full frame and APS-C glass which is plentiful and proven. The lens mount is probably the most important decision for a Cinema camera and if Panasonic wants to steal market share from Cinema EOS this is the way to make it happen. Dual Native ISO is also of note with the sensor working in two modes either a low ISO mode for good illumination or a high Native ISO floor for low light conditions. Each mode will have it’s own ISO scale which will preserve image quality further and go beyond traditional single native ISO sensors. It will be a matter of seeing if this new technology is as good as claimed. No Image samples were released. Sony with its FS700, FS7, and FS5 have had the 180fps and 240fps spec tapped for years. There is, of course, the enormous transformation that the stacked sensor technology is making in all of their camera product lines. From Phones to RX series and now the Sony a9 professional sports camera, Sony is building a moat around their sensor offerings which will be second to none in speed and features. We expect the successor to Sony’s FS7 and FS5 to have a stacked sensor design and be able to increase frame rates even further with much higher quality. By the time Sony releases their product offerings in the professional video market, the EVA1 and C200 will look like distant second and 3rd place runners when it comes to frame rates / sensor performance. 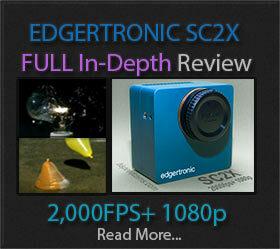 Sony will probably start to bring out 480fps at full HD with their technology and probably do 720p quality at 960fps. Since both the C200 and EVA1 are still a few months out until release; there is ample time for Sony to fire their cannons and make a big splash near their competitors. Which camera to buy or wait? We estimate that the Canon C200 will sell in droves to people wanting to move up from 1Dc, 5D Mark IV, C100 and C300 Mark 1 cameras. It ticks off most boxes. The Panasonic EVA1 is probably going to convert a few Canon Cinema people and get a big adoption rate from GH4 owners that wanted a step up but the GH5 did not really fulfill their needs when it comes to sensor size and low light ability. If you need a camera by the end of the year either of those two will work wonders for your production needs and you should avoid other options out there since technology has taken a leap forward in image quality. Sony will probably have a big announcement before the end of the year to counter the threat of these two cameras. If you can wait and see what Sony is bringing about we suggest you do. What we saw in the a9 with jaw-dropping AF performance and creamy smooth slow motion quality is not to be ignored. We expect Sony to adapt the same AF technology along with stacked sensors to the new line of cameras. If you can offload an old FS700 or FS7/ FS5 you should do it before an announcement to retain some value in your camera sale. That is if you can part from your gear for a considerable amount of time. We are also expecting a Sony release for the a7s Line maybe a Mark III sometime this year that will be quite interesting to all videographers that expect outstanding low light prowess. Previous PostChronos 1.4 First Day Test Footage !Next PostFake Slow Motion Is It Worth It?